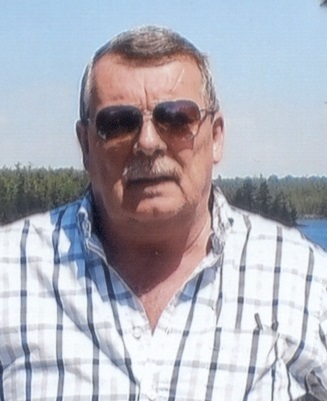 Obituary for Larry Bullough | Hillside Funeral Services Ltd.
Bullough, Larry (Bullfrog) (1953-2018) - It is with heavy hearts that the family announce Larry’s passing at the North Bay Regional Health Centre on October 31st surrounded by his family. Lovingly remembered by his wife of 37 years Cecile (Lafleche). Forever cherished by his daughter Kristene (Andrew) and step-daughters Kim and Geraldine. Doting grampa to Kayla, Morgan and Audrey. He also leaves behind a sister Lindy Knowles (Mike) and many nieces, nephews, friends and family. Predeceased by his parents Joan and Alfred and also his brother Lee. Larry had many passions, was a huge sports fan and most of all loved spending time out in Dokis with Cecile. Family will be receiving friends at HILLSIDE FUNERAL SERVICES, 362 Airport Rd. on Saturday November 3rd from 1 until 3pm with a Celebration of Life to follow.